Mice are found in homes, farm fields, food production facilities, restaurants, livestock facilities, warehouses, supermarkets, and more. These pests have the ability to cause damage to a building by burrowing and gnawing. Mice are able to gnaw through an array of materials to get from point A to point B. These materials include concrete, aluminum siding, cinder block, and even lead sheathing. Mice are responsible for the spread of many different diseases and that’s why sanitation and mice control efforts must always be maintained. The most common mouse species found in the United States is the Norway rat. 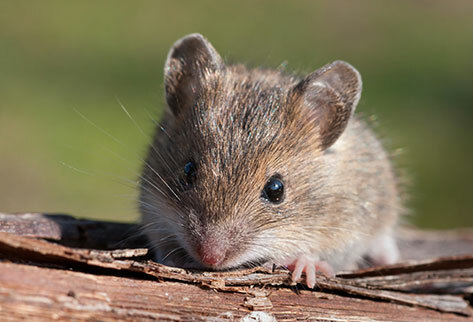 Physically seeing a mouse moving around your property: Unfortunately, this means there is already an infestation and they are nesting in an undisturbed area. Mice often like place their nests near food sources. You hear peculiar noises: Mice are careful creatures and they like to check an area thoroughly. These pests are also pretty active at night and will move in between cracks on wall, investigate debris, and more. That’s why you can hear that strange scratching sound. Footprints of mice: They can leave little footprints when they are active. Try and shine some light on suspicious areas. If you see strange little marks, try wiping them off. Mice footprints don’t get wiped off easily. Trap and release devices: If you have a heart for these annoying animals, this is what you can use. When you release the mouse, make sure you are releasing it less than 100 yards from its point of origin (it’s a PETA rule). Rat proof high risk zones: You can mix salad oil with garlic, horseradish, and a generous amount of cayenne pepper to create a potent concoction for your very own rodent deterrent. Store the oil in a spray bottle and use it wisely. Will being in close proximity to mice make me ill? It depends on what type of mice you are facing. Different species carry different germs that trigger certain allergies or illnesses. Don’t wait to find out. Call a professional. Do people get bitten by mice? Bites are rare, but it can happen. Don’t get too close. What do mice typically eat? They are omnivores and usually settle for seeds, grains, and fruits. Since they have a high-carb diet, they eat insects and meat as well. Need Help with Mice Control Today? At PEST, we understand that the presence of unwanted pest such as mice causes major concern to your business, family, and home. You can rest assured that we are experts in mouse control and can provide effective and quick solutions to eradicate a mice infestation. Our methods are humane and will not cause any negative ripple effects. We have been in the business pest control business for over 3 decades and we know how to keep the risk of disease spreading to a minimum. Prevent more mice from getting into your building. Email us at info@pesteliminationsystems.com or call us at 212.945.0868 to get started.